Reduce Dropped Calls and Dead Zones. All you need is 1 bar of usable service on your phone to improve cellular coverage. Easy to Install-True Plug and Play, Self-Configuring, No Cabling and Professional installation NOT required! 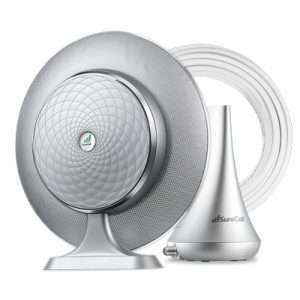 Cel-Fi is the ONLY Cellular Signal Booster Approved for use on the T-Mobile Network. 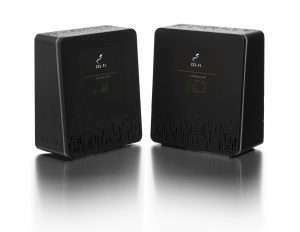 The Cel-Fi All Digital Booster can cover up to 13,000 sq. ft., making it IDEAL for Homes and Offices. Cel-Fi has been approved by the FCC for 100dB Gain-Providing a LARGER Coverage Area and 1000 Times Greater Gain than current analog boosters. Each Cel-Fi system can SUPPORT up to 60 Concurrent Users. 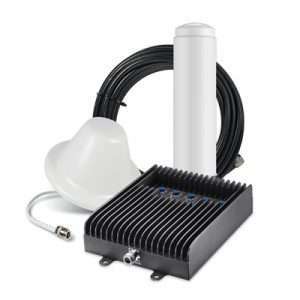 All Digital Simultaneous Voice and Data 3G/4G/LTE (Dual Band MHz 1200/1700, 1900). Peace of Mind Guarantee: 30 Day Return policy and 2 Year Product Warranty. – Fully wireless, plug-and-play quad-band architecture supporting WCDMA/HSPA+/LTE/VoLTE with up to 100dB of gain in each band simultaneously. Cel-Fi doesn’t require the installation of external antennas, bulky coaxial cables, handset registration, or a configuration setup by the user. In fact, Cel-Fi intelligently and automatically senses and adapts to its environment-including to changes made by your carrier, or to changes caused by nearby equipment like Wi-Fi, or other Cel-Fi devices. – Patented 2-unit, 3-hop system allows flexible placement for optimal coverage. – Processor running advanced digital echo cancellation and channel select filtering algorithm. 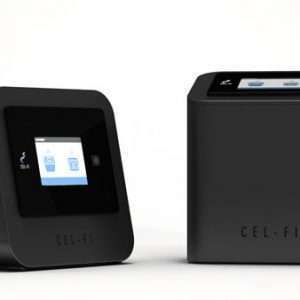 Cel-Fi’s embedded system-on-a-chip technology allows the Cel-Fi Booster to automatically select the frequencies used by AT&T giving you the best available coverage and the end to dropped calls. – Software-based optimization of integrated antenna coverage pattern which maximizes system gain and provides improved coverage and signal quality. – Automatic Gain Control (AGC) continuously monitors system path loss and transmit power to deliver maximum gain. – Intuitive LCD User Interface (UI) allows quick and easy installation by end-user. 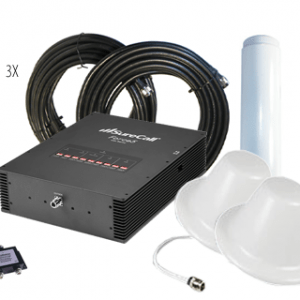 – Cel-Fi provides coverage up to 13,000 sq. ft., making it ideal for large homes and offices. Multiple Units of Cel-Fi can be deployed in large offices and will not interfere with coverage strength. – Cel-Fi is radically different from traditional repeaters, Cel-Fi is the only intelligent booster that’s wireless-in/wireless-out. The Network Unit receives the signal from the mobile network (it requires as little as one bar of signal, or -104 dBm RSCP, and -120 dBm RSRP) and relays it wirelessly to the – Coverage Unit that amplifies it for up to 100dB of gain. – Securely provisioned operation with ciphered software which only operates on authorized Carrier’s network. 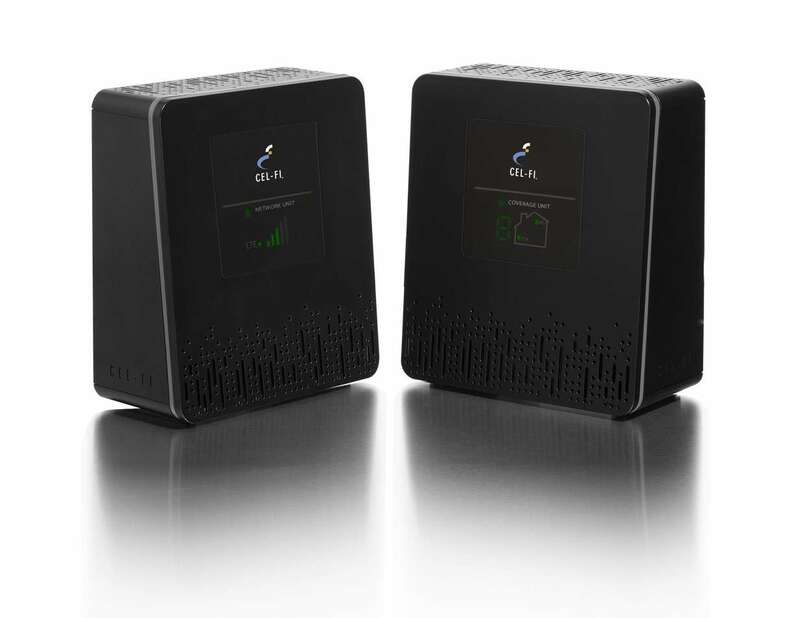 Cel-Fi is the only booster that has been authorized by T-Mobile for use on their network and the only booster approved by the FCC for 100dB gain – that’s 1,000 times greater gain than analog boosters. – Network-Safe software prevents uplink system gain from exceeding path loss, and eliminates unnecessary rise in base station noise level. – Uplink Muting Mode automatically shuts down uplink cellular transmissions when no active user equipment is detected. – Embedded software ensures optimal performance and prevents out-of-specification operation. – Maintains end-to-end cellular communication encryption without additional risk of vulnerability. 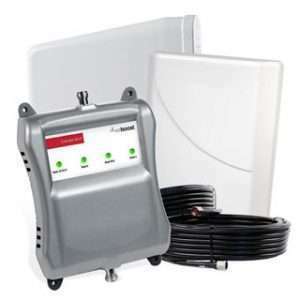 – Peaceful coexistence with adjacent Cel-Fi systems, 802.11a/ac/b/g/n, cellular, and femtocell devices. 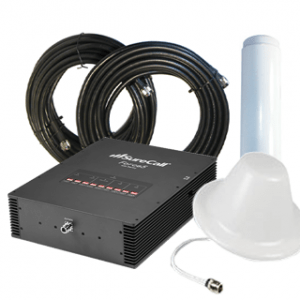 Nextivity’s IntelliBoost Baseband Processor III. – Support for 3GPP HSPA Rel. 10 features and 3GPP LTE Release 10 Features. 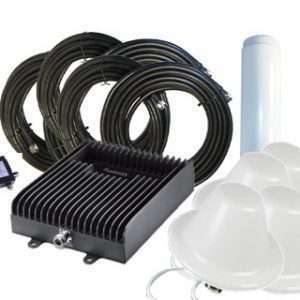 – 5GHz link compliant with FCC Part 15 and EN 301 893. – Up to 100dB path loss between units (approximately 20 meters between NU and CU). – Max EIRP for Multiple carriers: 16dBm downlink & 24dBm uplink. – Auto-Configuring “All band scanning” feature to self-adjust as Network channels change.